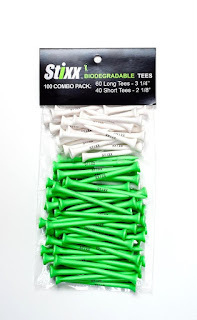 combo pack because it contains 2 different size golf tees. 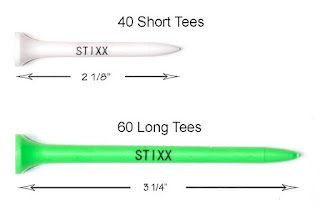 There are 40 Short Tees: 2-1/8" white in color and 60 Long Tees: 3-1/4" green in color. These are great because they breakdown and are biodegradable so there is no impact left behind after you play a great golf game. 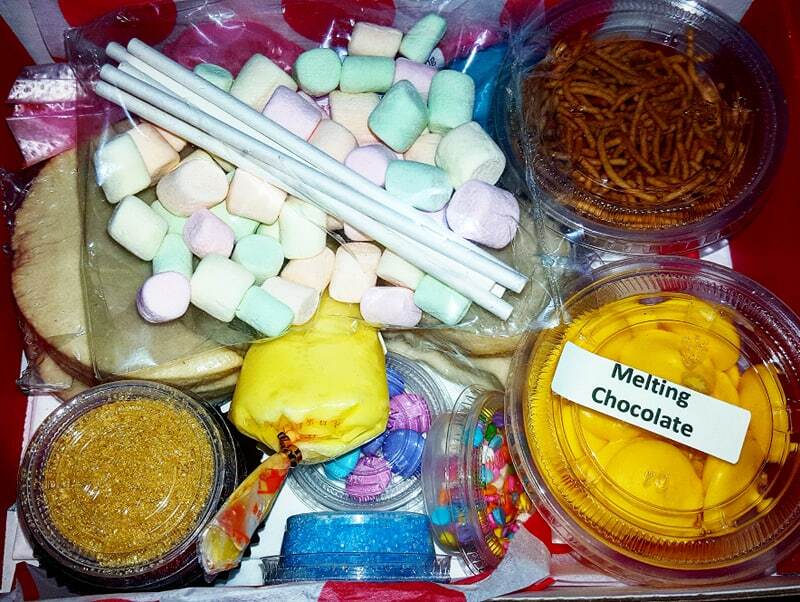 My kids love this because it does in line with things they are learning in scouts. 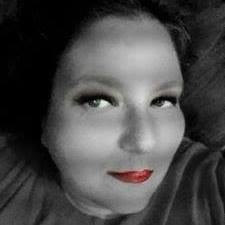 But don't think just because they are environmentally safe that they are not strong. They are made to be used time and time again. 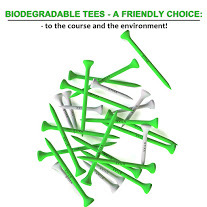 Biodegradable Golf Tees The Friendly Responsible Choice!!! Perfect for the golf course and the environment! - The 100 Combo Pack includes: 60 Long Tees 3-1/4" which are perfect for today's oversized drivers. - They encourage a shallow approach and maximize the launch angle, adding more distance to your drive. 40 Short Tees 2-1/8" are perfect for irons, hybrids and low profile woods. Be a low impact, environmental golfer!!! Biodegradable Tees: a friendly choice for the course & the environment. Designed & engineered for maximum performance & durability. Perfect for the most demanding players! 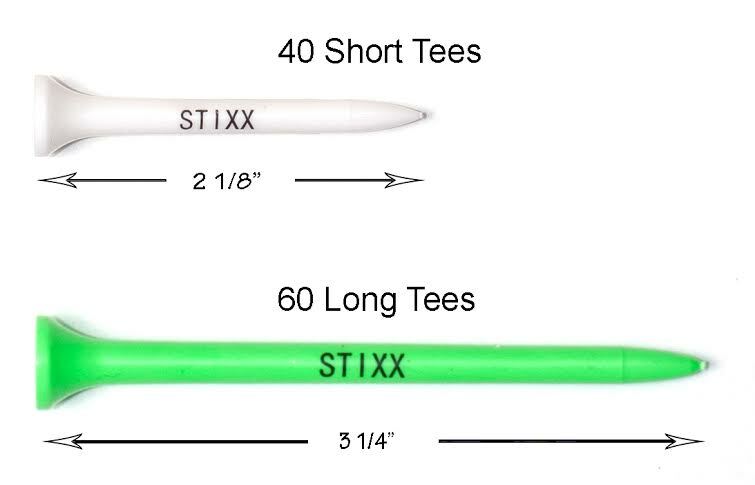 By STIXX World Class Golf Gear!